Jeri Quinn has spoken at the Javits Center in New York City several times. She has given keynotes, seminars and workshops for various groups, clubs and conferences. She has presented ‘Lunch and Learn’ seminars inside companies. The following are some topics she can speak on. Each can be customized to the audience and your environment. Need something special? Let’s talk. I’m good at creating things that meet your needs. Engaging Your Front Line to Boost Your Bottom Line. An engaging presentation about keeping your employees engaged, your clients loyal and yourself happy. What creates value in your business for you? What creates value for your employees? What creates value for your customers and clients? What’s the most sustainable way to create long term profitability? This fun presentation is interactive, involves multimedia and keeps people on the edge of their seats. Are you ambitious? How do ambitious people develop their leadership capabilities in record time? What’s involved? How do the metaphors of driving and dancing enhance our understanding? 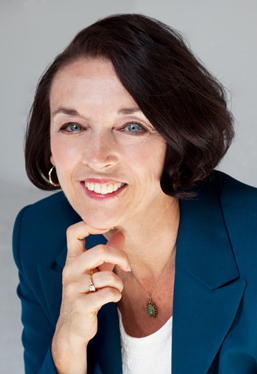 This energetic presentation takes participants from self-leadership to leading the organization that balances performance with organizational health for long term sustainability. Every employee contributes to customer service and has a hand in creating a service environment that earns customer loyalty. How do loyal customers help the business grow? What do all the studies show as the most important factor? How important is each employee? Participants will create a list of ‘points of connection’ and discuss how they can improve the customer experience. They’ll learn about internal and external customers, some tips for taking care of unhappy customers, and lots about verbal and non-verbal communication, using the telephone, email, and face-2-face interaction. In order to build the company brand and develop new business, many companies are encouraging all employees to know how to speak about the company and network wherever they find themselves. But for a good number of employees this is strange and anxiety producing. In this program participants will clarify the purpose of networking, learn how to target their efforts, create framing statements so they represent the company well, learn the importance of listening and reading the non-verbal cues. They will learn and practice activities to make them more comfortable in networking situations. The do’s and don’ts of networking will be explained. Social networking will be touched on and this could be a good time to discuss your company’s social networking policy. Goals help us set the intention to break out of our comfort zones. How do we effectively choose an appropriate goal, structure the goal to be achieved, get motivated, make the achieved goal into a habit? We’ll talk about aligning professional and personal goals, understanding seven levels of focus so goals get done and you feel good achieving them. In this interactive presentation participants will learn to identify SMART goals, hear how our brains help and hinder us. Each person will practice the goal achievement methodology on one of his or her own goals. 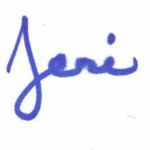 Interested in having Jeri Speak at your event? Please fill out this form to start a conversation. Thank you. I appreciate you reaching out to me.